Our vision is of a California where everyone has the opportunity to participate fully in the state’s economic, social, and political life. This will require our state to make smart policy choices and the right kinds of public investments. In working to accomplish this, our team is backed by a diverse and accomplished board of directors, ranging from coalition leaders to the state’s top economists and researchers. The California Budget & Policy Center’s board members bring decades of experience, expertise, and results. In this blog series, we will introduce each of our board members and give you some insight into the leadership that supports and helps guide the Budget Center. Author’s Note: We have updated this article to reflect Emily joining The Center for Popular Democracy as their Director of Strategic Research, located in Oakland, California in late 2017. 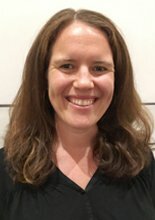 Emily Gordon joined the California Budget & Policy Center’s board of directors in June 2017. She is the Director of Strategic Research for the Center for Popular Democracy (CPD), where she leads the research work across all of CPD’s campaigns and program areas. Prior to her role at CPD, Emily was the Research Director at the California Federation of Teachers, representing 120,000 educators in 135 local unions across California. Emily has over 15 years of experience conducting strategic research and supporting local unions in negotiations and contract campaigns. In addition to her research and organizing work with health care and education unions, Emily has worked in the nonprofit sector doing research and policy work on a wide range of issues including community and workforce development, energy efficiency, and water infrastructure systems as they relate to the creation of high-quality green jobs. Emily received her bachelor’s degree in urban studies and American history from Macalester College and a master’s of science in social policy and planning from the London School of Economics and Political Science. Why were you interested in joining the board of the Budget Center? I have long admired and utilized the work of the Budget Center and was thrilled at the opportunity to help make state budget and policy issues accessible and useful to advocates in the field. If you could make one policy change in California, what would it be? Free higher education for all Californians. What’s your favorite thing about living in California? At this moment especially, I am proud to live in a state that is trying to lead the way on so many progressive policy issues. Where is your favorite place to go in California? Almost anywhere on the coast works for me! Bowling Ball Beach is a favorite spot on the Mendocino coast. If you could have coffee with anyone (dead or alive), who would it be? I’ve always wanted to sit down with some of the women labor leaders from the early 20th century like Clara Lemlich or Elizabeth Gurley Flynn. What is something people don’t generally know about you? I am working my way toward a goal of visiting all 50 states! Meet the Budget Center’s board of directors.